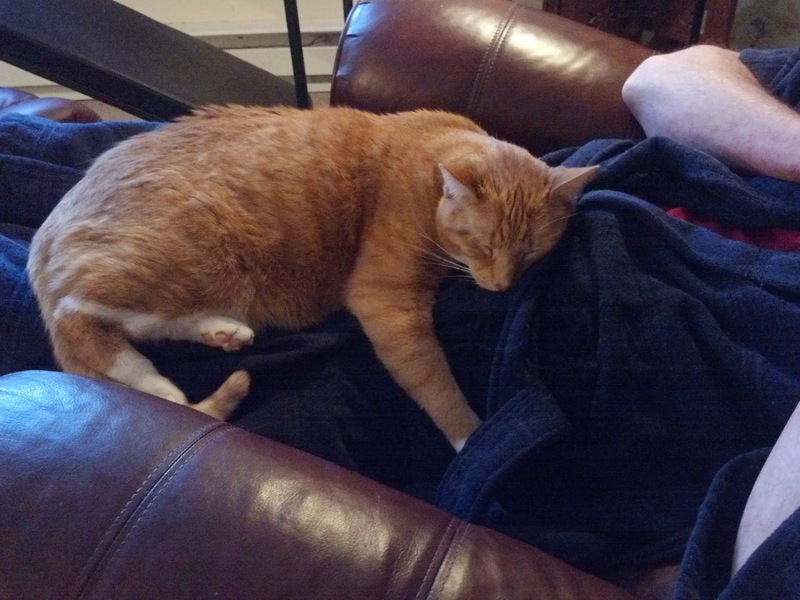 I think the cats are fond of me -- but, as you can see in the photos below, they adore Bob. Bob is doing well. His bloodwork is good, the Interferon G is helping, and the Neurontin is reducing the itch. The one drawback that we think/hope is related to the chemo is that he is losing his hair -- it is a side effect, and perhaps reversible, but still slightly alarming. Bob is not too concerned. I'm sorry. Did you know that a purring cat actually has healing properties? That would be great for Bob. 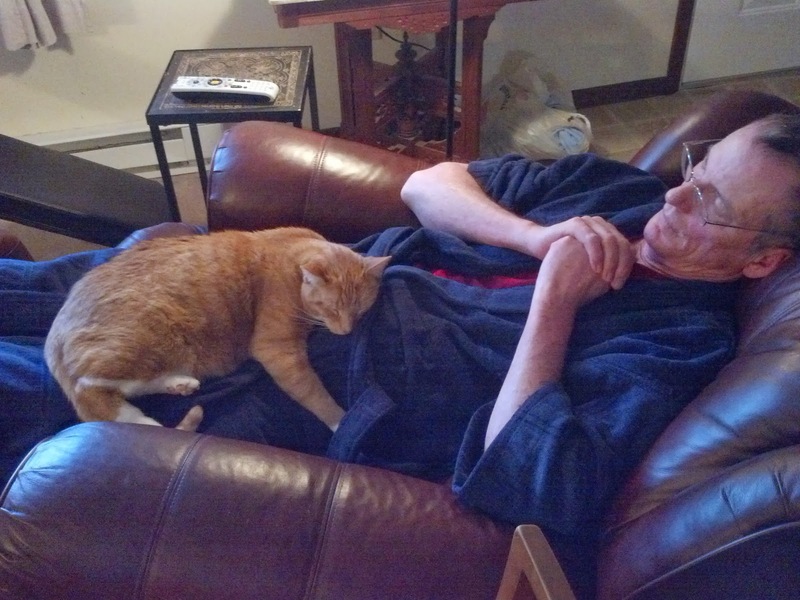 Glad he's doing well, and glad he has a good therapy cat.